My mum was a teacher, so I remember each year the pile of presents she would receive from her adoring students. She loved the gifts, but when the end of year haul came home there were few presents that really stood out. I didn’t mind… it was the many boxes of chocolate I was more interested in! Life is busy… so how do we express thoughtful and heartfelt gratitude to our wonderful teachers who love, nurture and care for our kids all year long. Finding a gift that rewards that special teacher in your child’s life can take some searching for. It’s not always as simple as just buying one gift either. Often us parents have several teachers to buy for. There is also those times when you might want to encourage a student teacher who is starting out on their journey or say thank you to a teaching colleague. But where do you start? Intention and thoughtfulness is a great place to start before you even start looking for the perfect teachers gift… When you set the intention you won’t need to spend a lot of money or travel the countryside either. So what’s the intention and message you want to send. Is it one of love or gratitude or rest or happiness or something else? 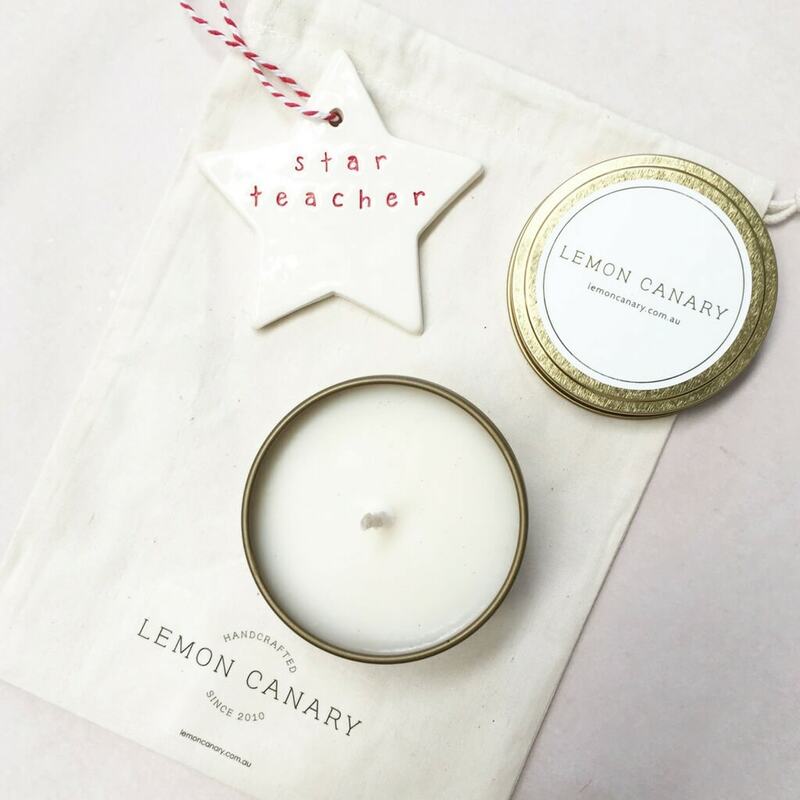 Here’s some end of year teachers gift ideas from Lemon Canary created with intention and thoughtfulness. They are wonderful and unique gifts that will show your child’s teacher they are loved, admired and appreciated. The perfect end of year Christmas gift for your teacher. It includes 1 x Handmade ceramic star “Star Teacher” and 1 x 110g Soy Wax Candle. This gift pack is presented in a calico pouch for giving (no wrapping required). A gift box for gratitude. Created with products from our organic Grateful range to show your child’s teacher how grateful you are for them. 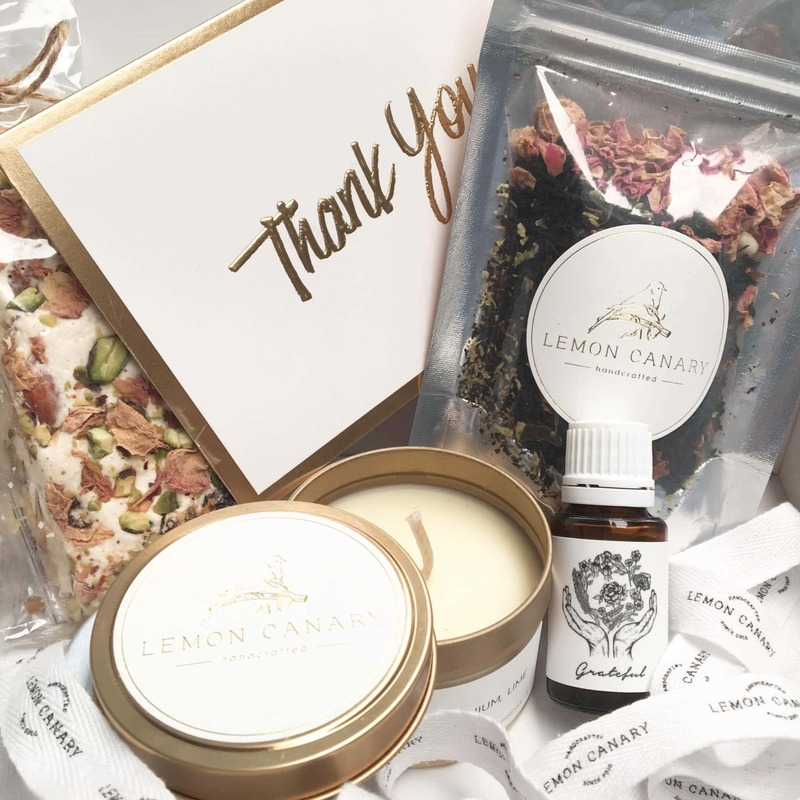 Includes: 1 x Gift Box, Ribbon and Card, 1 x Grateful Travel Tin Soy Candle (Scented with 100% pure and organic essential oils), 1 x Grateful Hand Blended Organic Tea 20g, 1 x Grateful Organic Essential Oil Blend 12ml, 1 x Luxury Nougat. Gift boxed for your teacher and tied with beautiful ribbon ready for gift giving. 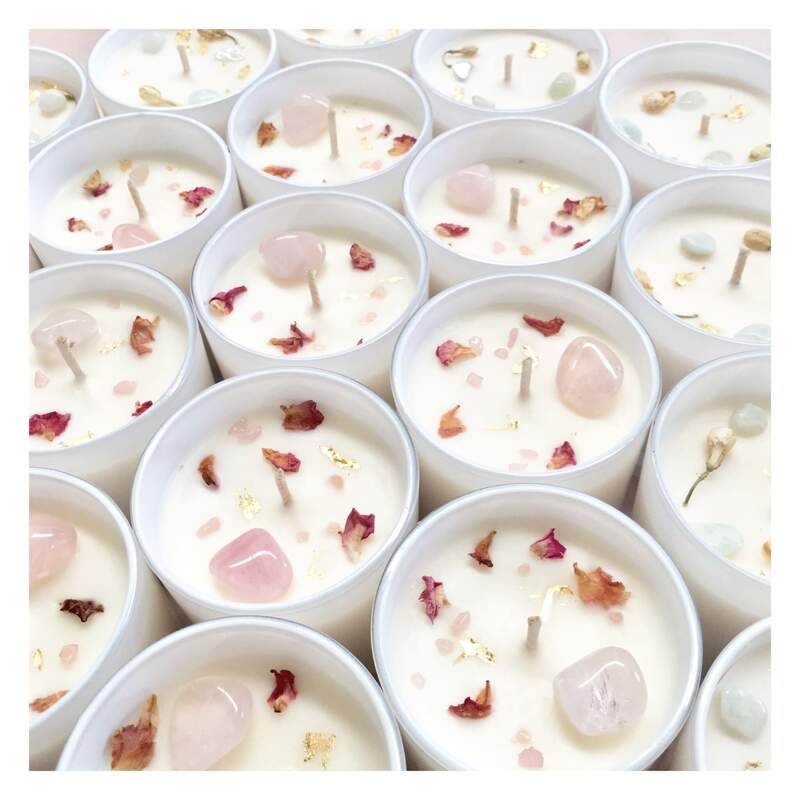 Custom made candles… Designed by you and made lovingly by us with the uttermost care. Individual, thoughtful, personal and beautiful. A perfect end of year teacher gift. Create and design your own customised End Of Year Teachers Gift Hamper… loads of beautiful organic goodies to add. A gift box to spread love. Created with the beautiful products from our organic Love range. 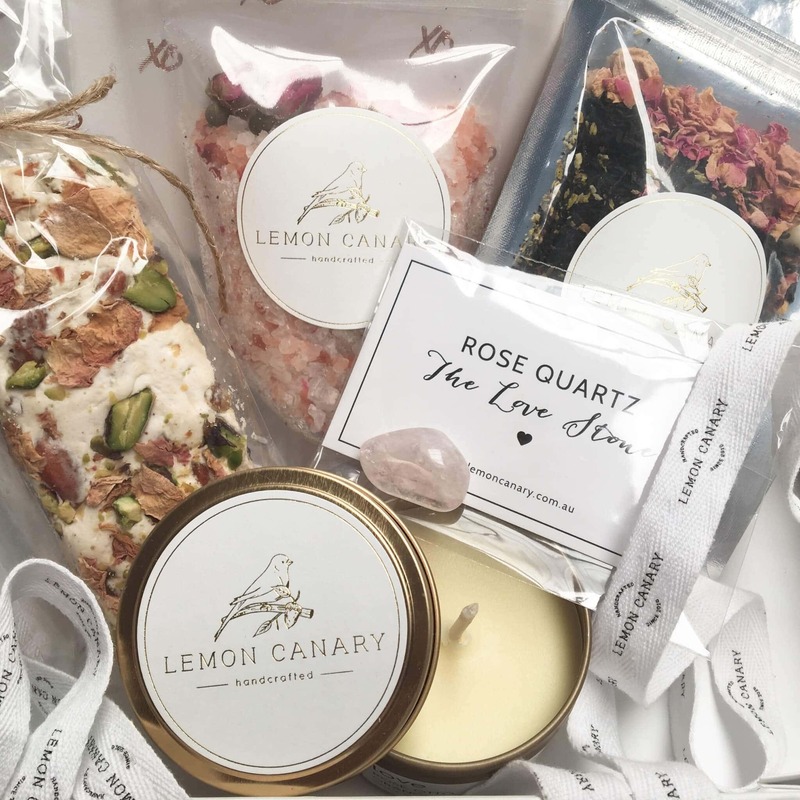 Includes: 1 x Gift Box, Ribbon and Card, 1 x Love Travel Tin Soy Candle (Scented with 100% pure and organic essential oils), 1 x Love Hand Blended Organic Tea 20g, 1 x Love Bath Salts 150g, 1 x Rose Quartz Pocket Stone (The Love Stone), 1 x Luxury Nougat Rose & Pistachio. Gift boxed for your teacher and tied with beautiful ribbon ready for gift giving. 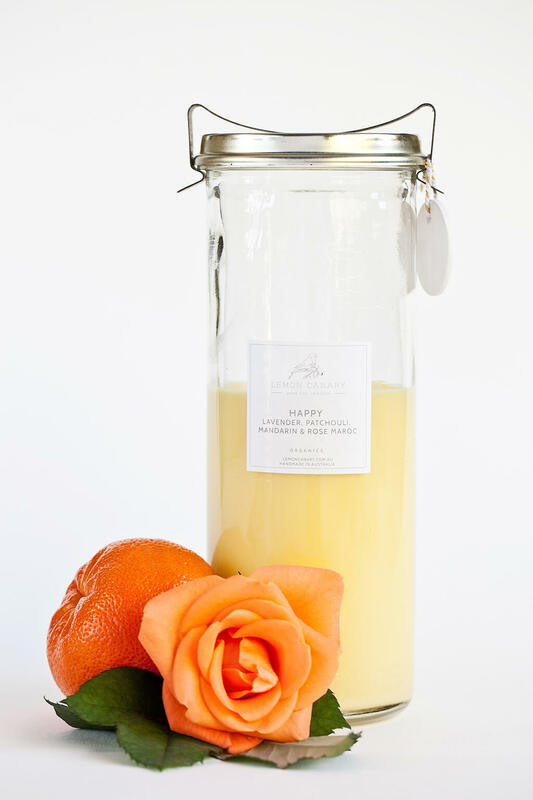 Choose to fill this gorgeous 1.2 litre Tall Vintage Jar with any of our beautiful Organic Essential Oil Scents. 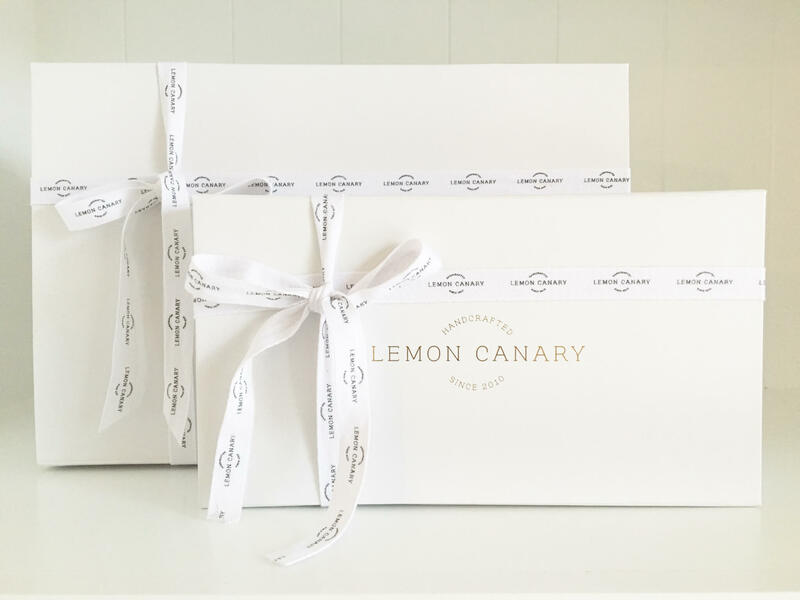 These classic candles are filled with creamy natural soy wax, the finest essential oils and a premium cotton wick. Your teacher will love it! A Christmas gift pack for your child’s teacher. 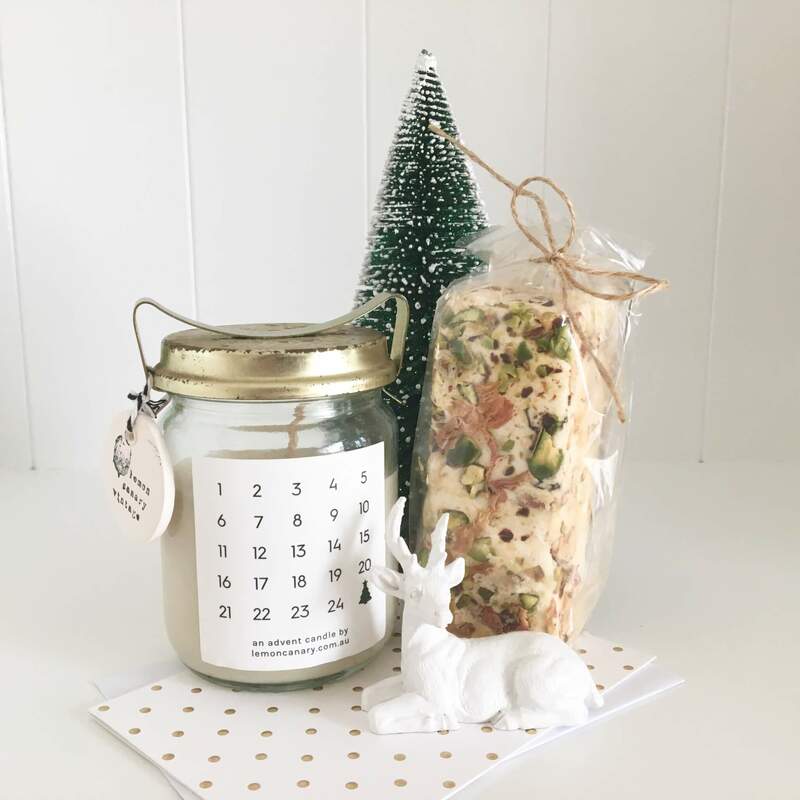 Featuring one of Lemon Canary’s Christmas Advent vintage candles and yummy nougat. Includes: 1 x Gift Packed with Card, 1 x 350ml Christmas Advent Vintage Jar Soy Candle, 1 x Luxury Nougat. Gift packed and ready for gift giving. This Vintage Jar is hand sourced by us. 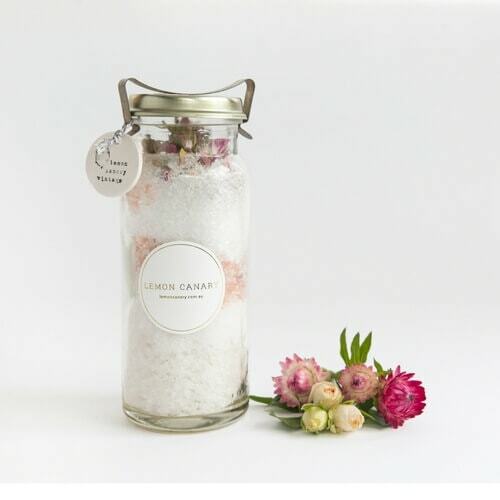 It contains layers of Epsom Salts, Himalayan Salt & Bath Salt and topped with Organic Rose Buds. Just what a teacher needs after a busy year at school. This Intentional Candle Bowl is the most special candle your teacher will ever own. It is handmade with love by an amazing master ceramicist. 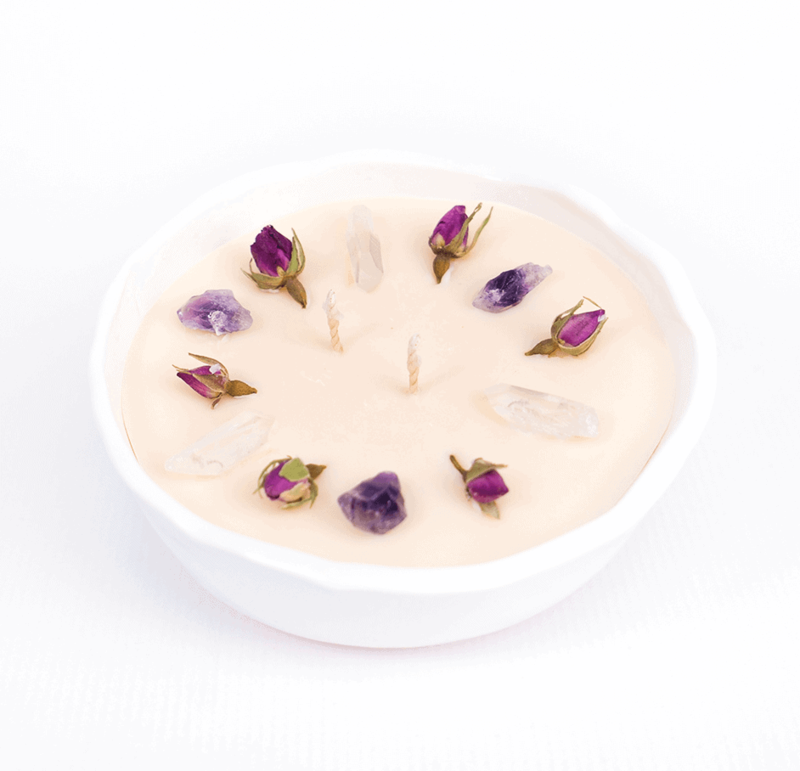 It is embedded with your desired botanicals (dried flowers) and crystals. Rare and valuable. A treasure that will fill your teacher’s heart and home. I hope this curated collection of teacher gifts helps you find a memorable and meaningful way of saying thank you to your child’s teacher this year. Happy holidays and many blessings.